impaction and centrifuge method; the smaller ones should be congregated to become lager, or be separated by using fiber filter and static demister. 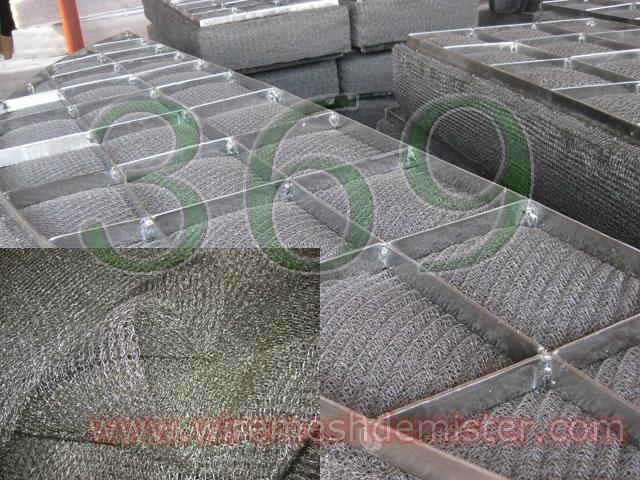 controlled and with other proper condition, the efficiency of foam remove will be as high as 97% after the gas pass through wiremesh demister. The purpose of removing foam will be achieved completely. by condensations or chemical reaction of gas. Provides low pressure drop at high velocity and general collection efficiency. Used for collecting lager particles. Most commonly used. Provides collection efficiency of up to 98~99% on 5~10 microns at velocity of 1~5m/sec. Provides high pressure drop at low velocity of 1m/sec and collecion efficiency of up to 90% or greater.